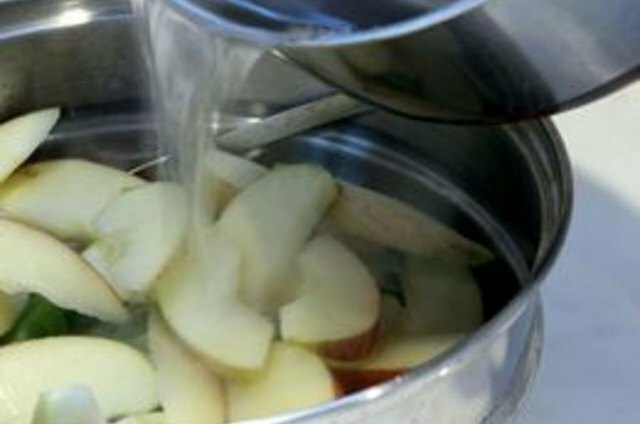 Dehydration is an easy and effective way to preserve food for camping, cooking or just snacking. 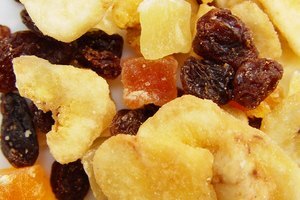 Dried fruits are a delicious and nutritious treat and can be mixed with nuts, candy or other snacks for a satisfying trail mix. 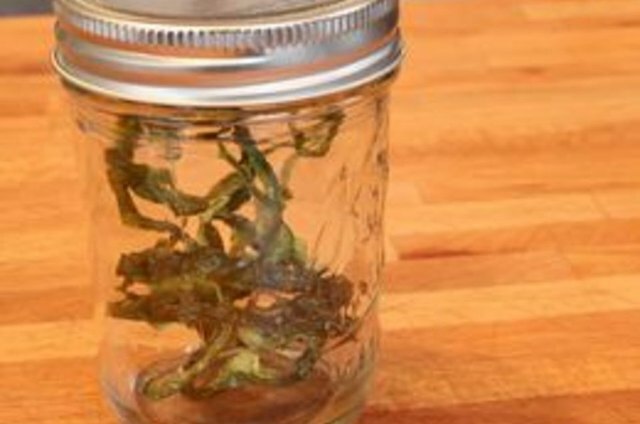 Dried vegetables can be snacked on or reconstituted for use in soups, stews and other dishes. 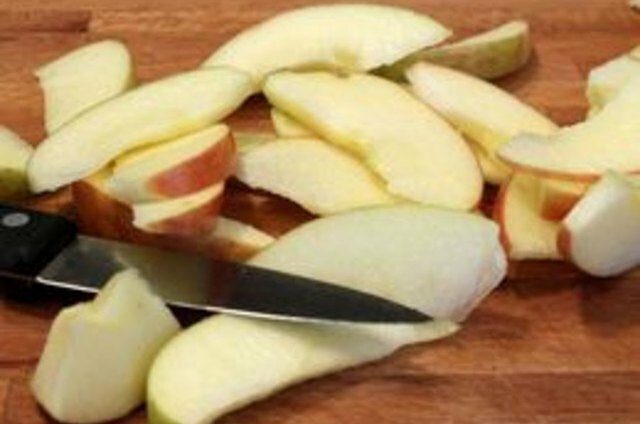 Sliced bananas, apples or sweet potatoes can be used as teething treats for toddlers. Some dogs may even enjoy them. 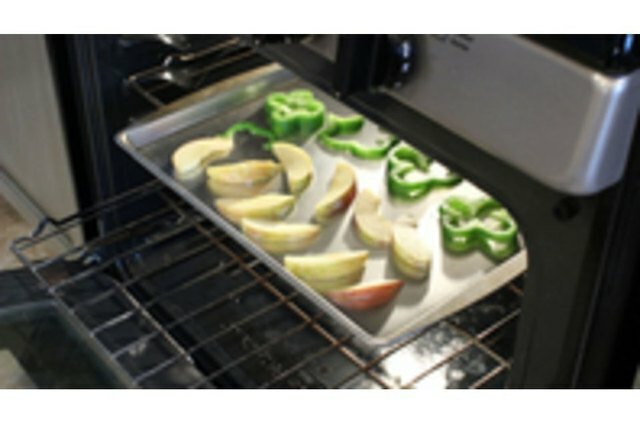 Drying food in an oven is one option for dehydration, but only if your oven will maintain temperatures of less than 200 degrees. Cut away blemishes and bruises on the food to be dried. Remove seeds, pits and any hard fibrous parts such as cores. Blanch fruits and vegetables before dehydrating to stop enzymatic action and kill organisms that can cause spoilage. Times vary for different vegetables, so see chart in Resources for instructions. To prevent fruits from discoloration, dip them in a mixture of water and ascorbic acid. A mixture of lemon juice and water can also be used. 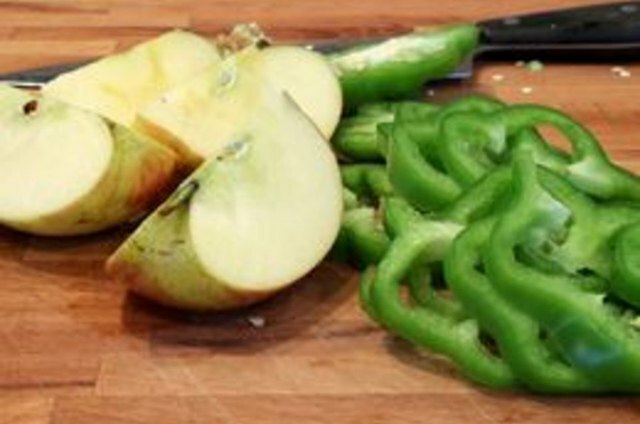 Slice fruit and vegetables into thin slices. 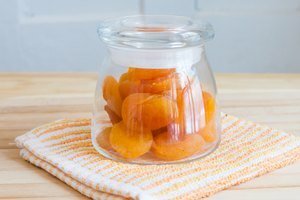 Some fruits, like apricots, can be halved and pitted. 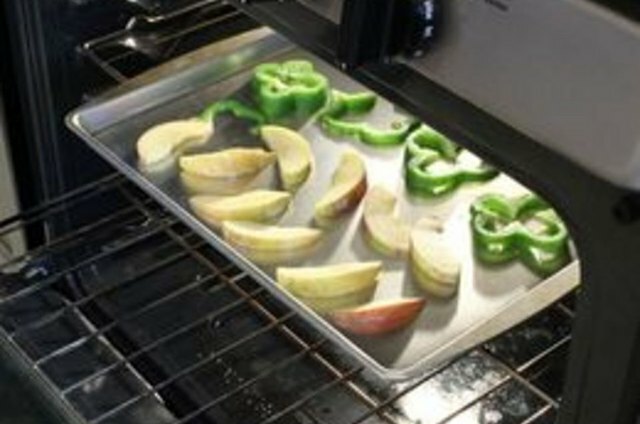 Arrange slices in a single layer on cookie sheets or racks. Preheat oven to lowest temperature (about 140 degrees.) Your oven may not go that low but temperatures up to 170 degrees can be used. 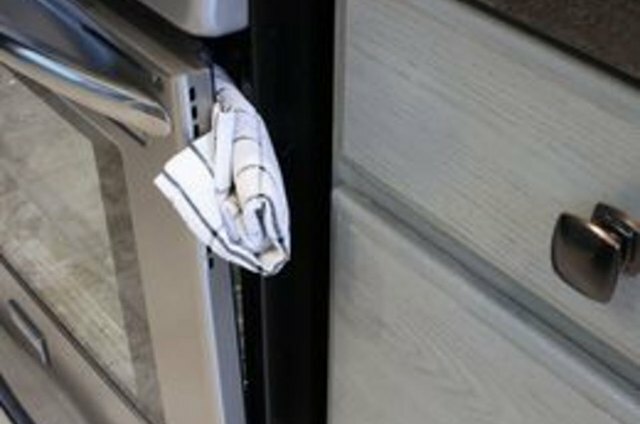 Prop the oven door open about two to three inches by putting a folded kitchen towel in the door. This will allow moisture to escape, air to circulate and prevent the oven from getting too hot if you can't set it to 140 degrees. 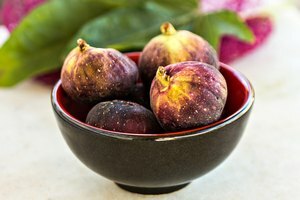 Dry fruit and vegetables for time shown in charts (see Resources.) Be sure to turn the food occasionally to allow for even drying. 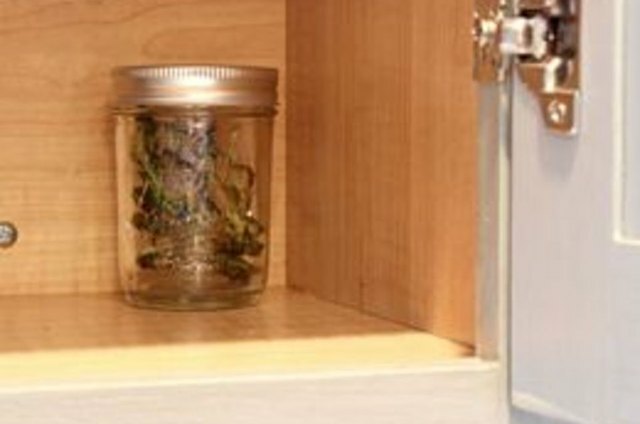 After cooling, store dried fruits and vegetables in tightly closed pre-sterilized jars. 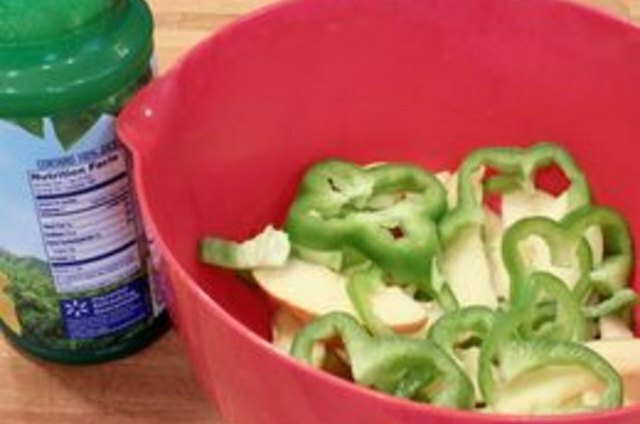 Shake the jars with fruit in them daily for the first week or two and watch for moisture. If there is any sign of moisture in the jar, the fruit needs to be dried in the oven some more. If you don't dry it properly, it will eventually mold. Store dried food in a dry, dark, cool place. The cooler the storage area, the longer the food will last. Use leftover fruit from jelly making to make fruit leather. Put apples, berries, peaches, pears, or apricots in a blender and blend until smooth. You can use the fruits individually or mix and match. Add sugar to taste (or leave it out all together for diabetics or others who don't want sugar.) Spread evenly on a cookie sheet to about 1/8 to 1/4 inches thick. Dry at 140 degrees until you can touch it in the center without leaving marks or indentations. This may take up to 18 hours in the oven. Remove from tray while still warm and pliable and lay a sheet of plastic wrap on top before rolling up. Since your oven will be on for up to several days, you should plan on being home during that time. Be careful with young children and curious pets. The open oven may be tempting; even at low temperatures, they can be burned.